NEW! 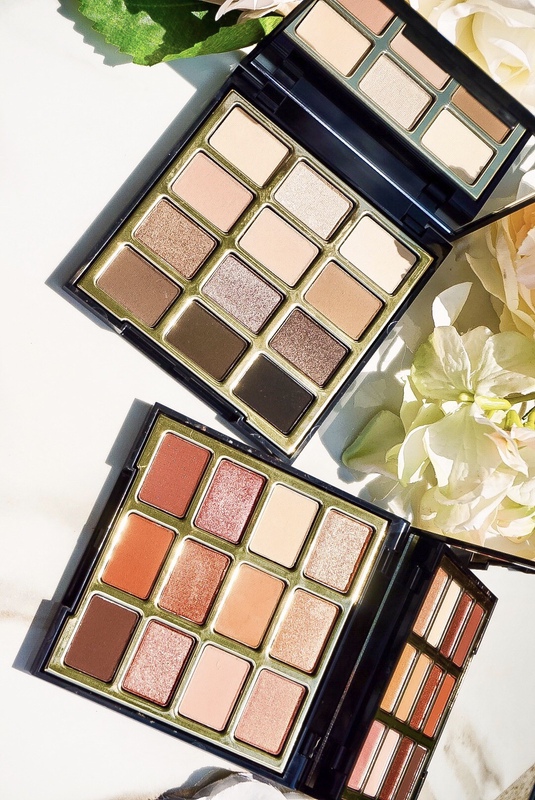 Milani Soft & Sultry + Pure Passion Eyeshadow Palettes Are Here! Milani is on a roll this year! They just recently debuted the stunning Gilded Desires Eye & Face Palette. Now they’re snatching our edges with the new Soft & Sultry and Pure Passion Eyeshadow Palettes. And I’m completely here for it! The new Soft & Sultry and Pure Passion Eyeshadow Palette remind me a lot of the Stila Eyes Are the Window Palettes. Each palette has a separate color scheme but share the same packaging. Difference is the Milani version will only set you back $20. Or less if you use a coupon. You already know Pure Passion is my favorite! I love warm neutrals because they always look great on my skin tone. We have been bombarded by warm eyeshadow palettes lately. However, I can still appreciate Milani’s spin on Pure Passion because it’s still slightly different from what we’ve seen so far. She’s still quite warm but takes more of a romantic rose gold approach than fiery bronze. Cool shadows aren’t typically my first pick but I can’t deny how gorgeous Soft & Sultry is. The colors look amazing against my skin tone! They’re not so cool that they too palette or ashy. In fact, Milani actually nailed Soft & Sultry. I think anyone could whip up one hell of a smokey eye with this beauty! Whether you’re the fairest fawn or a chocolate cutie. Now Available at Milani & Wal-Mart! Want to add these to your collection? You can shop Pure Passion and Soft & Sultry now online at Milani and in stores at Wal-Mart for $20! ← Peter Thomas Roth Mask-a-Holic Kit is What Your Skin Needs This Summer!